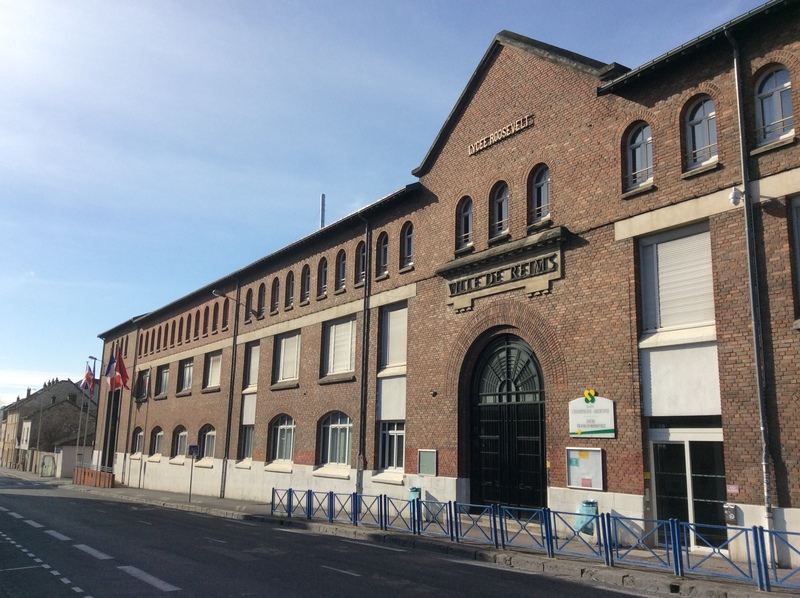 School Building Where the Surrender took place in May 1945. Today was my first day with fellow battlefield guides from Leger Holidays in a long trip following events in Western Europe in 1945. We started at Reims where one of the three surrenders in May 1945 took place. The Musée de la Reddition, or Surrender Museum, in Reims commemorates the American led signing of the German surrender in Western Europe which took place at Reims on 7th May 1945. Supreme Headquarters Allied Expeditionary Force (SHAEF) set up a Headquarters in a large school complex in Reims in early 1945. At this stage the Battle of the Bulge was still being fought to the north in Belgium and American forces were pushing through Lorraine towards the Vosges. The Rhine was crossed in March 1945 and gradually the Germans defeated. Field Marshall Bernard Montgomery of 21st Army Group got the German forces in north Germany to surrender on 4th May 1945 and the Americans then instigated a surrender at Reims for the whole of the German forces in the West. The Russians only had one delegate at this signing, which led to the German declaration of surrender to Russian forces at Karlshorst in Berlin on 8th May 1945: the day that we now commemorate as Victory In Europe Day. 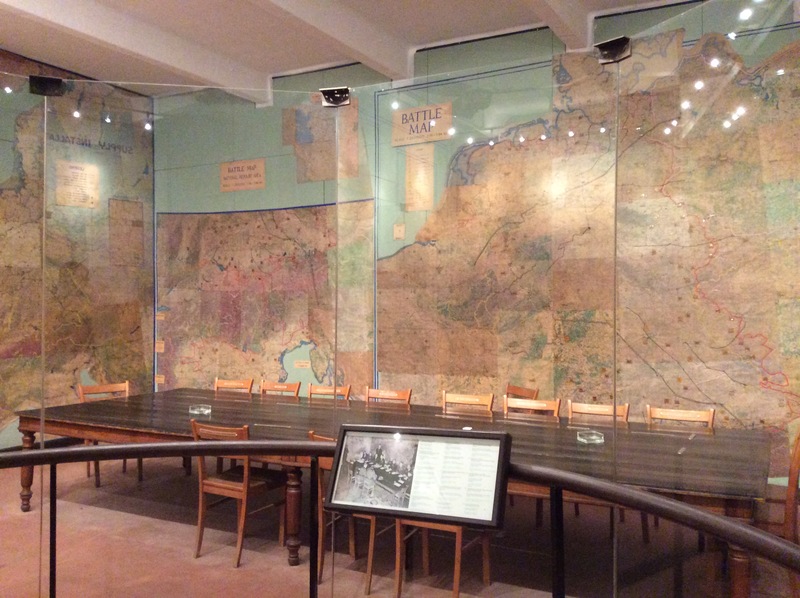 The museum is located in the old map room of the SHAEF HQ where the surrender took place in May 1945. You watch a short film and then visit the upper level where the map room is. It is an interesting site with some unique material and the maps on the walls of where the signing took place are something to see. The city of Reims charge a small entrance fee but it is very much worth a visit. In Berlin 8th May 1945 there was a ratification of the surrender at Reims. Not a formal surrender. There were in May two capitulations: Luneburg Heath and Reims. That’s true but the Russians saw it as ‘their surrender’ as they only took minor roles in the previous two. VE Day 8th May 1945 because of the coming into force of the surrender of the German forces in Reims (not German surrender).